"Traffic is directly proportional to the amount of money you earn online." Even if you have over 50K followers on your instagram or twitter, there are plenty of offers you may get from advertisers to promote their product. It is no rocket science or any extremely hard concept to understand. The sooner you get this and start working, the better it will result in the traffic you get on website. Same applies if you are some kind of content creator. If you Podcast, you need listeners who will download it and now and in future. If you are a photographer you need people who will see your photographs or even videos sometimes. If no one sees it, it is just a waste of time. So get ready to read further because if you will follow the methods mentioned here and apply them correctly, I guarantee you it will bring you massive, massive amount of website traffic. If you are getting 5000 views, you will get 35000 visitors! Increase of 30,000 visitors is pretty impressive Right? 1. These are completely proven methods and is no click bait. 2. After applying, they will be effective in few days. Caution : Don’t spam any of these otherwise they will backfire. Leave a Link for others. Leave a link wherever you can. Doesn’t matter if it is your social media. Doesn’t matter if it is a question on Quora or any Forum. Doesn’t matter if you write it on a wall. It should be available to others. Even if they click by mistake it should redirect them to your Blog. This will change any random guy on internet to one of your website visitors. So first thing first, forget What other’s think. Right? You need to make your blog as discoverable as you can. 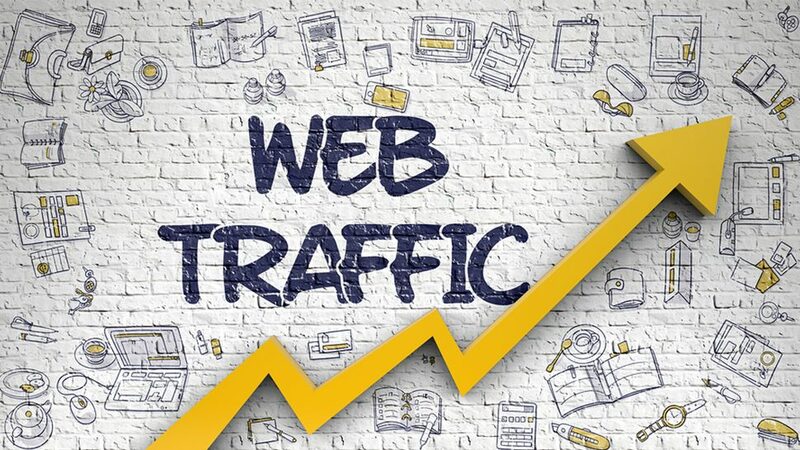 You need to grow the website traffic stats as much as you can, as quickly as you can. Write a short paragraph which describes your Blog the best and in a smart manner which may convince the reader to click on that link. The more exposure and impressions it will get, the more chances are there that more people will read it. Different Platforms will attract more audience. If you promote your content on 5 different platforms which attracts 200 visitors each, you just got 1000 website visitors without banging your head in the wall brainstorming about website traffic. You may use Videos, Podcasts, Blogs, Social Media, and Even Games to attract people to your blog resulting in more website traffic thus more engagement and earnings. Simple as it sounds. But this is hard. Probably the hardest thing to learn for online development and marketing and is also the most necessary. If you master this skill and are able to rank your Blog or Website to search engine, then you need not to worry about the traffic on your website. You will easily drive thousands and even millions of people to your website and blog. How To Use SEO on your Blogger Blog. If you want to get better readership you need to write long 2000 words articles to make it future proof and worth sharing for people. If you are thinking why then suppose you read a title in bold large letters The Ultimate SEO Guide but when you open it you find 100 word article in which you don’t even need to scroll down because it is short enough to fit completely from beginning to end on your screen, How will you feel? The same happens with others since they are like us. Humans. This is probably the most under-rated yet pretty effective thing you can do to increase website traffic because idk consciously or sub-consciously we are attracted more towards great branding and luring titles. So, make best use of this and spend some time actually figuring out the title because it may change a random person to one of your website visitors. Quality Website Visitor I would say. When a person sees a link, he cannot see what’s written in the article but with the title and brand name, he will assume if it is worth reading or not. But wait, it doesn’t end here. All these things you do will only bring you the quality website visitors. How will you make them stay there and read your content? No, it isn’t as simple as you may think because bringing people to your website or blog is one thing but unless you make them stay there for couple of minutes, it ain’t gonna work. Believe me. They will not leave any comment, they will not share it, they will not even subscribe to your blog. Then How will you be able to make a e-mail listing? and most importantly, they will never come to your website again. Even if you rank #1 in search results, they won’t click the link. This is how things backfire and you may lose your potential website traffic. So the most important thing to do when you start getting an increased amount of quality website visitors is to gain their trust. Set your image of being reliant and your articles being informative and best value for their time. People will then only read your articles because they know it is high quality and they may find solution to their query on your article easily along with some additional information and will contribute to the traffic you get on website. Be Distinctive with what you write. Your website visitors may find it interesting. If you are writing 10 points then try to add 7 points which no one else does. The aim is to provide the best quality content for your readers and subscribers because your blog might not be the first one they come across and if all stuff mentioned is same like others, he will never stick to your site. Optimize Your Site For Phone as well. We are now almost in 2018 where everyone has a smartphone and most of the searches are done from smartphone only because its handy. Make your site handy too and customize it for best mobile-phone experience. This may not bring any significant amount of website traffic but after optimizing the site, it will not limit your audience to computer-users only. Keep the font large enough to read without zooming in and there should always be a subscribe button or Follow Button available on screen all the time so that the reader need not to hunt for that when they wish. Try to Give Comprehensive Information to the visitor. If you want to teach them something new, then teach them from scratch step by step. For example if you are teaching them SEO then go through each and everything in detail. Tell them what they need to do next at every point. Think yourself as a Teacher and the reader as your student. Keep Your Pages Up-To-Date all the time. If there is any change or new update then correct it ASAP in your article. If you wrote an article in 2015 about SEO and never updated it, I bet you 83% of the things won’t even work today when a user try them in 2018. Try To Avoid Linking Every Line to other pages. This makes it hard for user to go back and forth and ultimately the reader leaves the site. Even if you link to different pages of your site, you will just get the numbers of visitors on your site but that is such meaningless practice and barely gives you actual quality website visitors which may contribute to the traffic you get on website.You should link for better SEO but also write enough information so that the reader need not to click on every other link you have left in the article. It kills the reading experience. Keep it as simple as possible for the reader. Make It Relative because everyone like things when they realize that they are not alone to experience them. If something is hard and boring like SEO then admit it in your article, that you too find it boring. Don’t fake it if you yourself don’t like something. Many people will start agreeing with you and this will result in better understanding among your visitors and readers that the author of article is not superior than the others. There is a great example for this, I saw a blog Things that will happen to you when you take science in standard 11 and I completely loved it. Not because it had great information but because each and every line was so relatable to my school life. And not only me but many of my friends and everyone has shared it on their all social medias as well. Just Imagine the amount of traffic me and my friends gave him on his website. Add Photos and GIFs because why not? We are trying to engage the audience with our articles and what’s better than media in doing so? Remember when we were kids and hated the book with no pictures? That is still true today for blog articles. I mean make it colourful and creative af so that the reader never gets bored from your content! Especially GIFs. I love them because they are not videos and are not photos either. Plus they add the feel to your articles. It makes the articles alive. Most Important thing to get traffic on website is Keep Trying New Things. Try new things and give them a shot because only two things will happen. It will give you basic 200-300 visitors or they will give you 20,000-30,000 visitors. It is similar to purchasing stocks except their is no money you lose. Only Gains. What else do you need ha? You know, Google is very clever, when someone recognizes their algorithms and how they work, they change it. More in a favor of those who don’t know. Only way you can get better is by trying. And these methods will not give you 30,000 website visitors overnight. Nothing big happens over night. Try for some weeks and keep trying new things along with the ones which works. Note them down and keep repeating them. This is not easy. I never said it is. No one said it is easy. Those who did never tried it themselves. That is all I can say. There is no end to the things you can do to always bring more and more people to your blog.